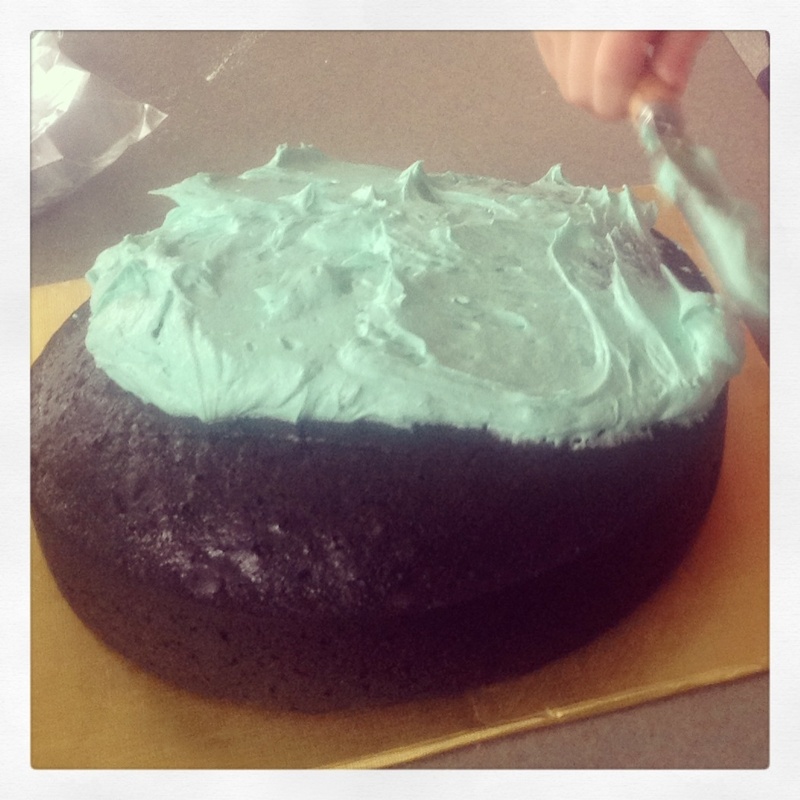 chocolate cake | Have kids, they said. It'll be fun, they said. Happy Birthday, Mr T! And Happy Takeaway Day! Well, we did it. 35 days of No Takeaways. 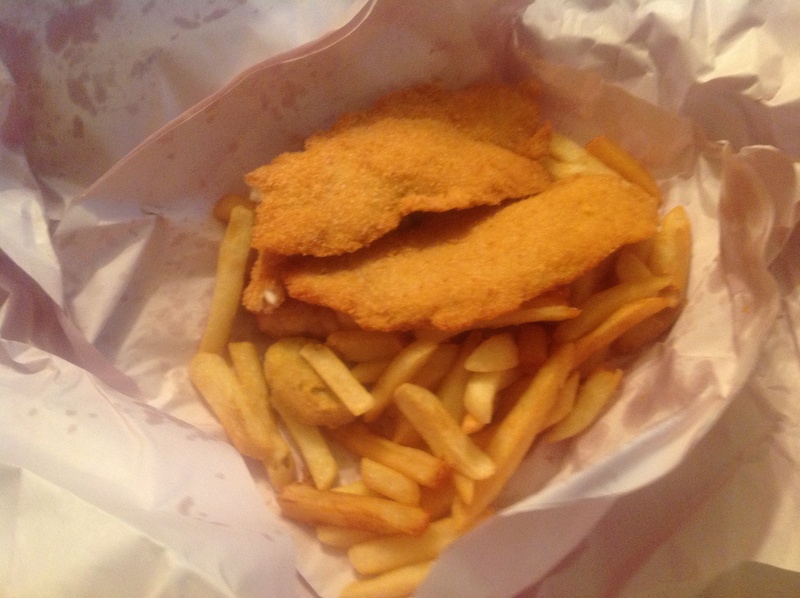 Tonight, we got our celebratory meal of fish and chips, and it was pretty darn good, I won’t lie. And, we didn’t even mind that, in her enthusiasm, she dropped the cake clean on the floor. Messy on the floor? Either way, we had a lovely dessert of floor-cake and it was good. As we ate our dinner, we reflected on 35 days of No Takeaways. I am really, really proud of the effort we have made, and it is something that I am definitely determined to continue in the future. Have we saved money? I’m sure we have, though I have no idea how much. Best of all, I walk away today having learned so much about myself, cooking and food in general. I’m sure there is much more that I can’t think of right now (still on 3 hours sleep but YAY, BabyGirl’s tooth came through! ), but at the end of the day, I did it, and that is something I am very, very proud of. Tomorrow, I start afresh. Because, I have a freezer full of potential meals, a cupboard full of ingredients and components, a family who need food and an enthusiasm for cooking like I’ve never had before. I challenge each of you to try something like this. See how far YOU can go without buying takeaways, and let me know! 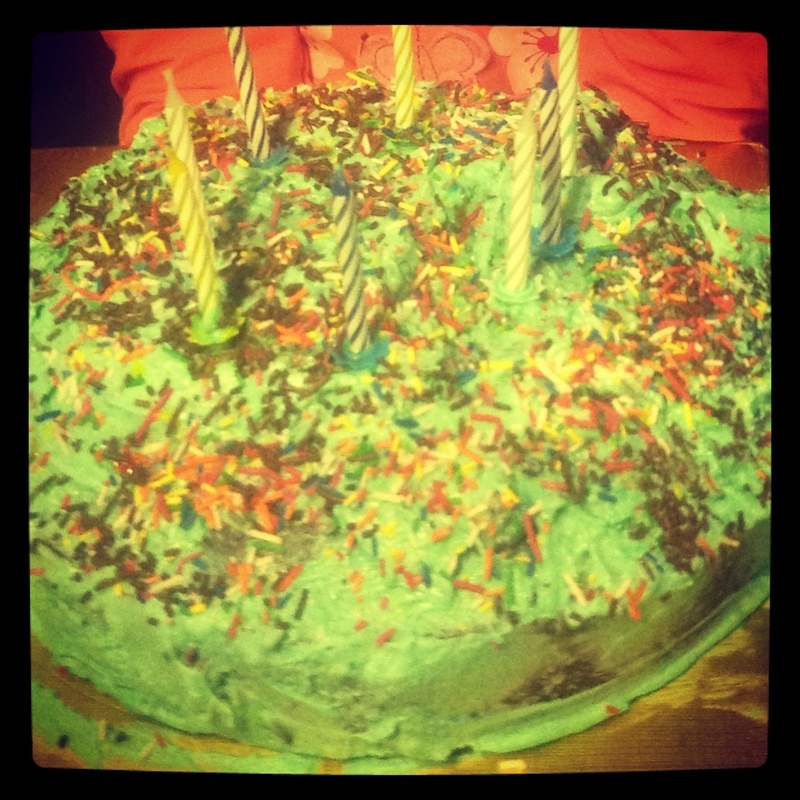 And, of course, because I wouldn’t feel right leaving you without a recipe, here is the recipe for the Dairy-Free Chocolate Cake that we made for Mr T’s birthday tonight. Add all of the dry ingredients into a bowl and combine. Mix in a separate bowl all of the wet ingredients, whisk then add to the dry ingredients. Combine and bake for about 45-60 minutes on 150C. We iced with basic buttercream (margarine beaten until nearly white, then mixed with icing sugar) and lots and lots of sprinkles. A delicious, heavy, rich chocolate cake. Yummo! I am not a big drinker, I’m not a smoker and I don’t tend to gamble aside from the occasional Lotto ticket. My vice? Soft drink. I know, I know, it’s not great for me. I don’t let the kids drink it and I tend to stick to the diet varieties. And so, Coca Cola chicken was pretty appealing to me. 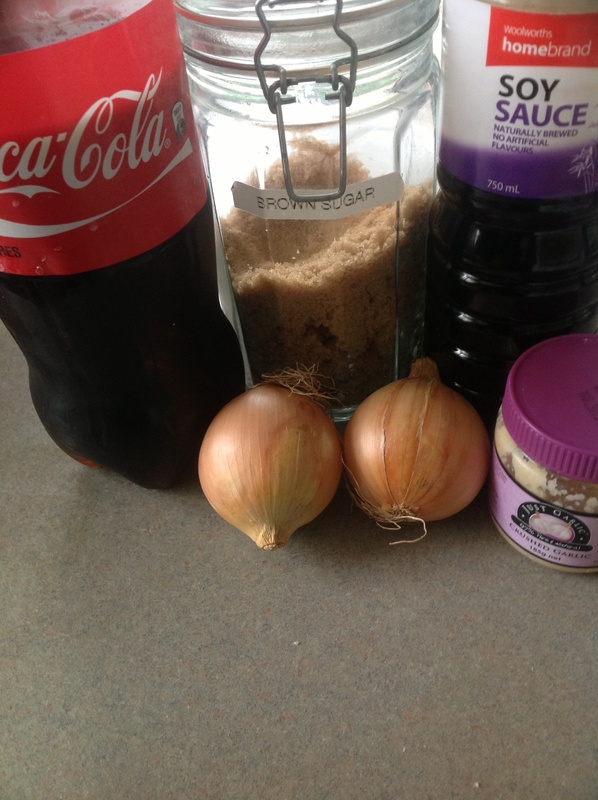 I have, in the past, made a wicked awesome Coca Cola chocolate cake (I have included that recipe also because mentioning it and not giving you the recipe? That’s just plain mean!) and I love it. Princess thought it was hilarious that we added Coke to the cooking. She laughed as she poured it in, and couldn’t wait to tell her Daddy what the funny ingredient was that we added! So, here you have, Coca Cola Chicken. When scouring the internet for recipes, there were basically two ways of cooking this – one was a slow, 2-hour cook in the oven, and the other was a 30 minute stove-top version. I opted for the longer, oven-cooked one because having three pre-schoolers generally makes standing over a hot stove quite a challenge, you could say. In a deep casserole dish, combine all of the ingredients and then put the chicken on top of the sauce. Bake in the oven for 2 hours at 180C. Really, that easy. You can thicken the sauce at the end with cornflour if you want, but I chose not to. 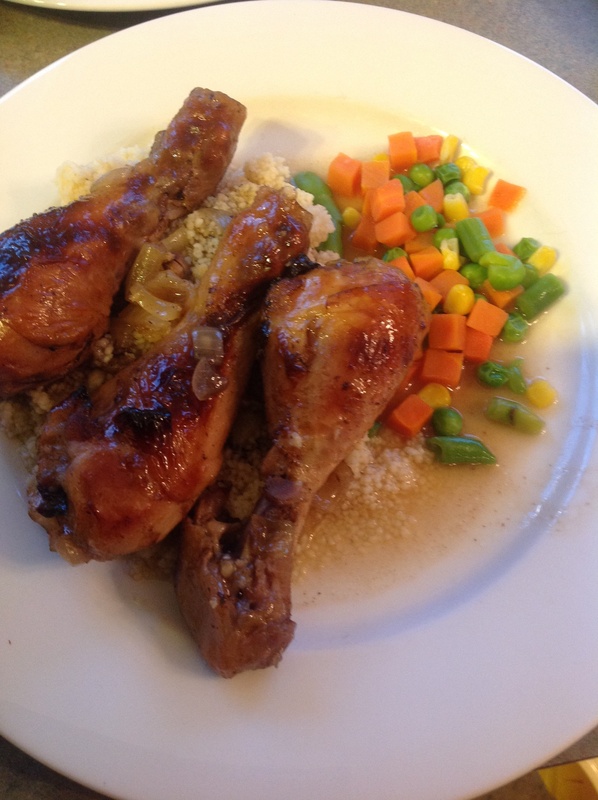 I served it over couscous and frozen mixed veges. Before Princess got the chance to tell Mr T what was in it, he was exclaiming how amazingly delicious the chicken was! He was quite amused to hear that it was Coca Cola, and he devoured his plate. This was a very sweet dish, I think if I were to cook it again I would reduce the amount of brown sugar. Also, when I started cooking this the house was overpowered with the smell of onion and I was worried that it would overpower the taste but it didn’t – if anything, you need the onion to balance out the sweetness. This was such an easy, awesome dinner to cook, will definitely be doing it again. Sift the dry ingredients into a bowl. Add the wet ingredients and beat in a mixer until combined. 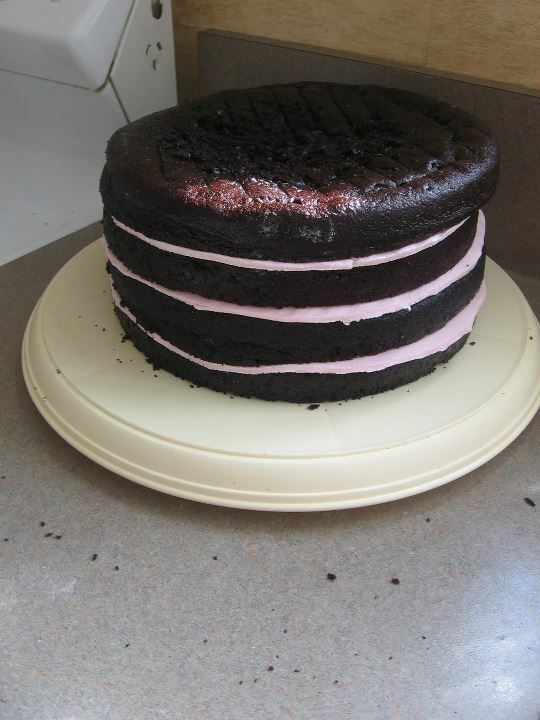 Use a silicon cake dish for this cake, or line your springform cake pan very well as this mixture is VERY wet and runny! Bake at 180C until cooked through, often 45 minutes or slightly more. 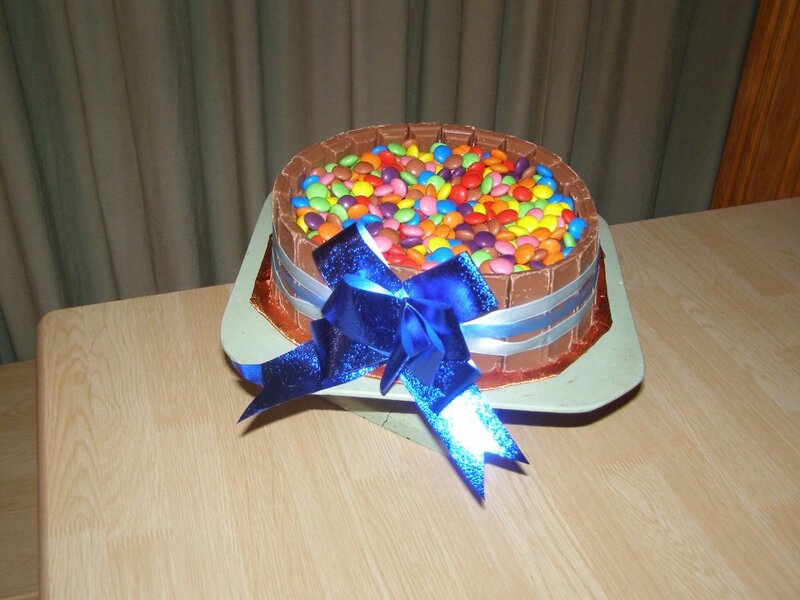 This cake is brilliant for making the famous “M&M” cake. Or just for a nice, fudgey cake without the cost of butter and chocolate.